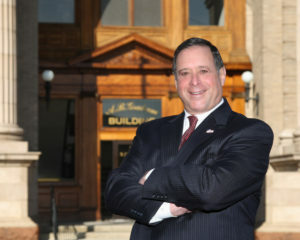 Mr. Federer was elected Clark County Auditor in November of 2010. The former bank president of 34 years brings to the position an extensive background in proven executive and business management experience. Mr. Federer managed over 300 associates while consistently performing at high levels. Active in the community, John has been an outstanding, community oriented citizen of Springfield and Clark County since becoming a local resident. He has been a board member and/or board chair of Junior Achievement, Boy Scouts, Springfield Museum of Art, United Way, St. John’s Center, Clark State Foundation, The Mercy Foundation, Mental Health Foundation and many other non-profit organizations to improve the quality of life in our community. John is also active in Springfield Rotary Club, St. Teresa Church and The Ohio State University Alumni Association. He has had many opportunities to move from this community, but instead has, by choice, remained a leader in Clark County to serve and assist in the development for the greater good of our area and region.